Rodent Services – Grand Rapids Pest Control, Inc. This service includes treatment for mice, rats, and other rodents. 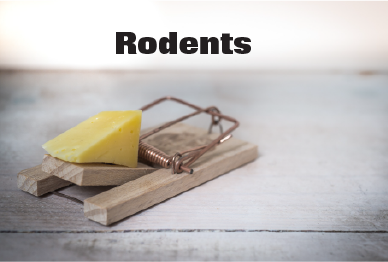 Rodents not only feed on foods that we use for ourselves, but they carry diseases and disease-bearing organisms. The diseases associated with rodents range from mild to very severe in effect on humans. The “Black Plague” of many years ago was caused by Yersinia pestis, a bacterium hosted by fleas on rats. The recent Hantavirus scare in the American southwest is caused by the disturbance of mice-droppings, causing the virus to become airborne. GRPC’s rodent service is performed by the careful placement of bait. This treatment is more discrete and less obtrusive than physical trap treatments. Please allow 1-2 weeks for full treatment to take effect. Service is guaranteed for 90 days. Note that single-family properties are priced differently than a double-family apartment. Duplexes are charged as 2 separate properties. Additional charges will be applied to your order if you need immediate or Saturday service. Cost for these services if needed is an additional $50.00 If ordering by email: please include these extra fees in your total when sending your order. Please send order information to our email Thank You!